Share in the holiday spirit. Please donate HERE. It’s never too late to donate to the scholarship fund and give a talented person the opportunity to learn a profession that will help preserve our national heritage. For our thanks will send you a sweatshirt or baseball cap! 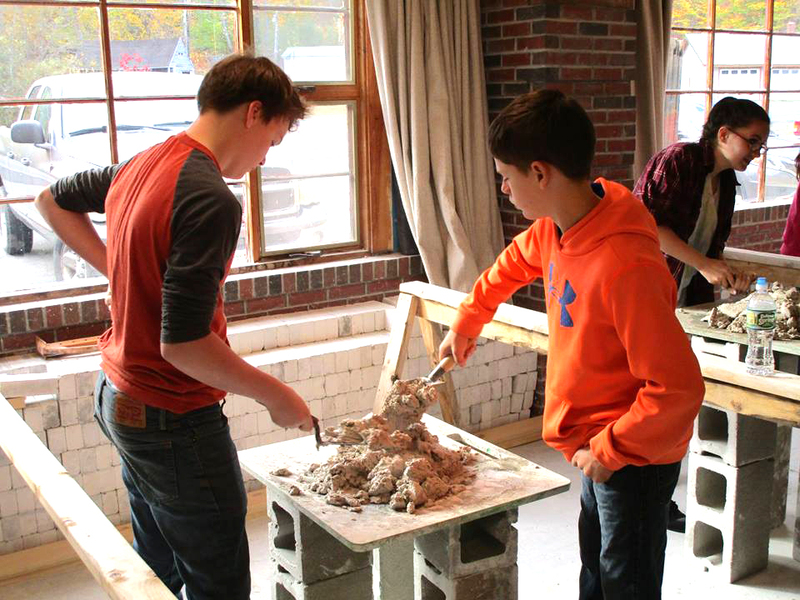 On Nov. 13, the Maine School of Masonry received a $5,000 grant from The Sugarloaf Charitable Trust for their capital campaign to help expand the Historic Restoration and Preservation facilities at the school. With the expansion MSM will now be able to enroll more students into the Historic Renovation and Preservation courses in the coming years. Anyone interested should contact the school now at 639-2392 or visit their website at masonryschool.org as interest in these classes is high. With individuals, non-profits and business giving generously MSM raised $9,100 and with the value of the materials donated surpassed their goal of $8,000. The classes take the students on site to practice what they have learned in the newly expanded facilities in Avon. The buildings that the students work on are listed as National Historic Landmarks and the school has special permission to renovate these historic treasures. MSM is the only school to offer courses of this kind in America. 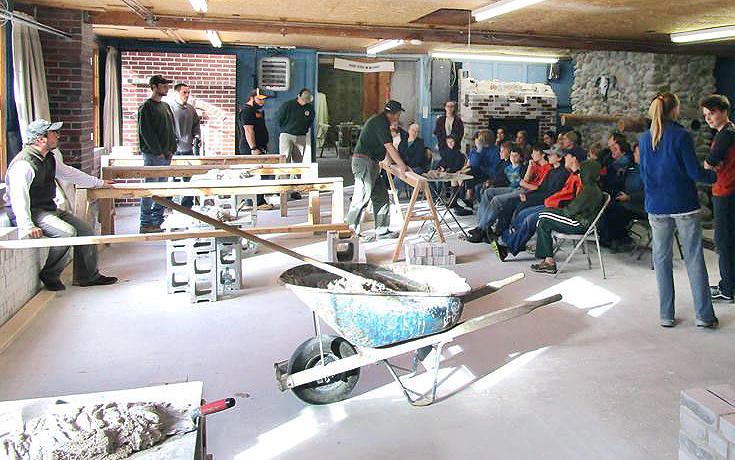 AVON – During October the Maine School of Masonry hosted a daylong event where local home schooled students learned the basics of masonry. MSM made way for the home-schooled students to have their own stations in the workshop. There the students worked on individual projects under the careful watch of instructors and senior masonry students. 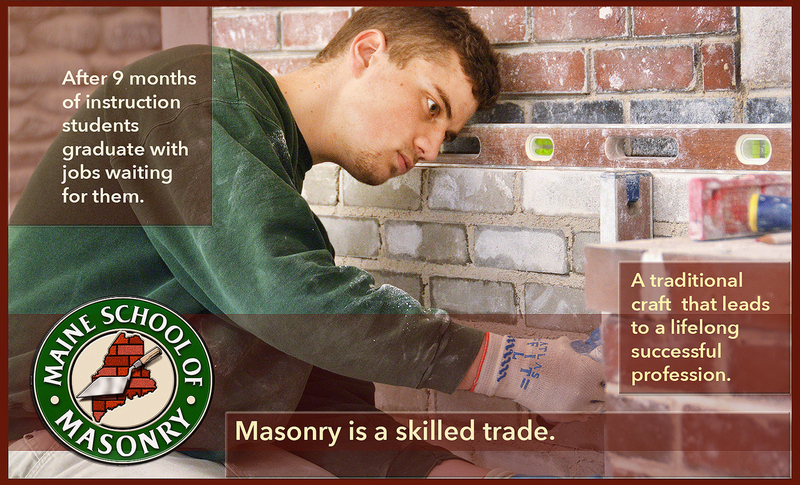 MSM has an ongoing open invitation to schools throughout the state to visit the campus to learn more about masonry. While at MSM visiting students will be given a demonstration in masonry and offered a chance to do their own hands-on project. Mitchell opened MSM in 2005. 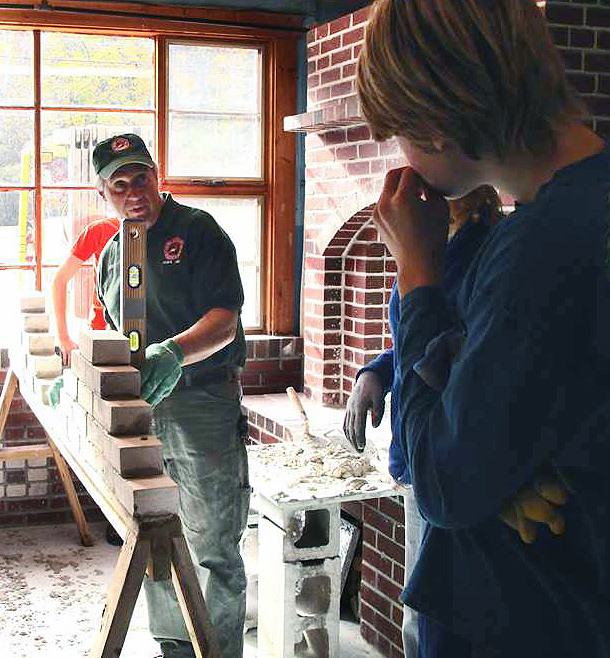 Since then, he has taught students the fundamentals of laying brick and stone work empowering every one who graduates with the skills to start their own masonry business, or to obtain a professional job in the business, after nine months of instruction. The school’s new program in Historic Renovation and Preservation is the only course of its kind in the country giving students hands on learning experiences at National Historic Landmark locations, such as the Kennebec Arsenal and Fort Knox. The techniques students learn on site enable them to help preserve this country’s heritage for future generations. Visit: www.masonryschool.org for more information. Stephen D. Mitchell instructs a homeschooler. 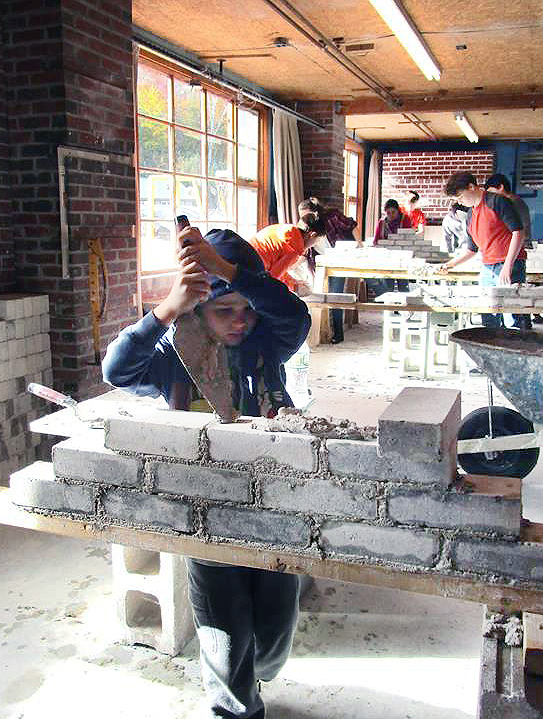 Maine School of Masonry welcomes homeschoolers. Standing in a cavernous teaching lab full of industrial equipment on the college’s Tulare campus, Emery said the decades-long national push for high school graduates to get bachelor’s degrees left vocational programs with an image problem, and the nation’s factories with far fewer skilled workers than needed. “I’m a survivor of that teardown mode of the ’70s and ’80s, that college-for-all thing,” he said.